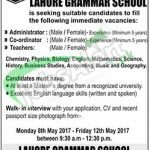 Here you will be having the recent career opportunity from LGS Jobs 2017 Lahore Grammar School Sialkot Walk In Interview Date. For all those applicants who belong to Sialkot so wake up from their deep slumber and have a look to the vacancies which are being announced from Lahore Grammar School Sialkot is seeking to hire the energetic, caliber and well disciplined applicants are required to fill the following vacancies which are named as (Administrator, Coordinator and Teachers (Chemistry, Physics, Biology, English, Mathematics, Science, History, Business Studies, Accounting, Music and Geography) are the current vacancies which needs to be filled with Masters qualification and 5 year's expertise in the similar capacity is required with excellent English Language skills are required to apply for such posts. Attractive salary package with growth opportunities will be given to the applicants with suitable and peaceful atmosphere to work with great pleasure. Both genders are welcome to apply for the given posts. Now, I will throw light on it's further details below. Applicants are required to bring their CV and fresh passport size photograph should be brought at the time of walk in interview. Walk In Interviews have started from 8th May 2017 and will remain continue till 12th May 2017. Interview will begin from 9:30 am to 12:30pm. 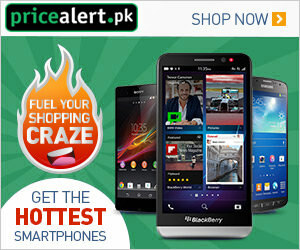 For more excellent jobs stay tuned with this job page and get more and more awesome jobs with accurate details from this page along with forms facility. Venue for Interview: Lahore Grammar School, Kalma Chowk, Saidpur Road, Silakot.